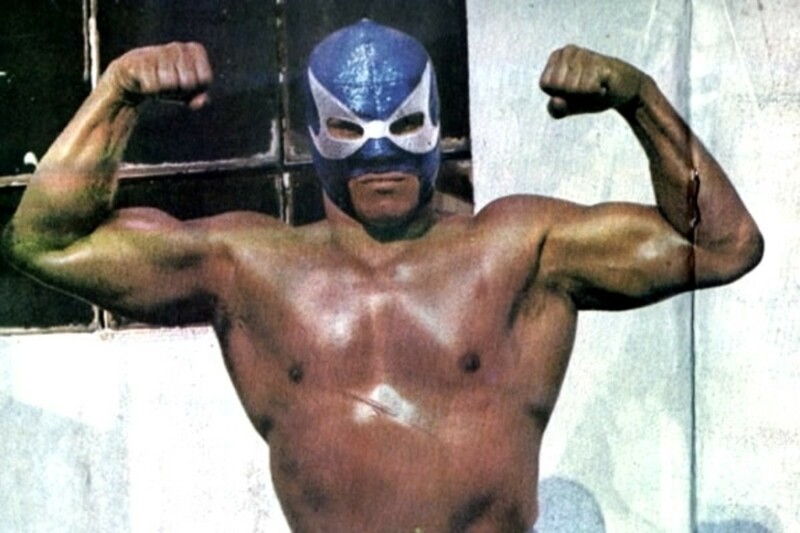 Juan Banos, a Hall of Famer who was one of the major forerunners of the high flying style of Lucha Libre as the blue masked Lizmark, passed away earlier today from a heart attack. Banos was a cliff diver out of Acapulco who was training to be a boxer and didn't debut as a wrestler until 1976. He quickly became a star, capturing the Mexican national welterweight title just two years after starting his career. He was primarily known for his plancha outside the ring, a move he popularized, but he was a great all-around wrestler. He is one of only two men in history to capture the NWA world championship in three different weight classes, welterweight, middleweight and light heavyweight, the other being Gori Guerrero. During the 1980s he was one of the biggest stars in Mexico, and regularly teamed with Atlantis, who was the next generation top high flyer, as well as with Rayo de Jalisco Jr. during a boom period in CMLL, facing Los Hermanos Dinamita, but his biggest feud was with El Satanico. He was still considered one of the top stars when he jumped to AAA in 1992. He had a major feud in the early days of that promotion with the original La Parka, now L.A. Park, which was the program that really got Parka over as a superstar. He ended up returning to CMLL in 1995, to rekindle his feud with Satanico. His son, who wrestled as Lizmark Jr. and El Hijo de Lizmark, started in CMLL and came to AAA with his father, and they often did a father-and-son team. Lizmark Jr. later wrestled for WCW. He first suffered from heart problems back in 1999, which threatened to end his career, but he returned to the ring after six months and was still working occasional dates as late as last year.